Home / Blog / Backyard BBQ All The Buzz? Repel Uninvited Insects With These Natural Tips. Backyard BBQ All The Buzz? Repel Uninvited Insects With These Natural Tips. 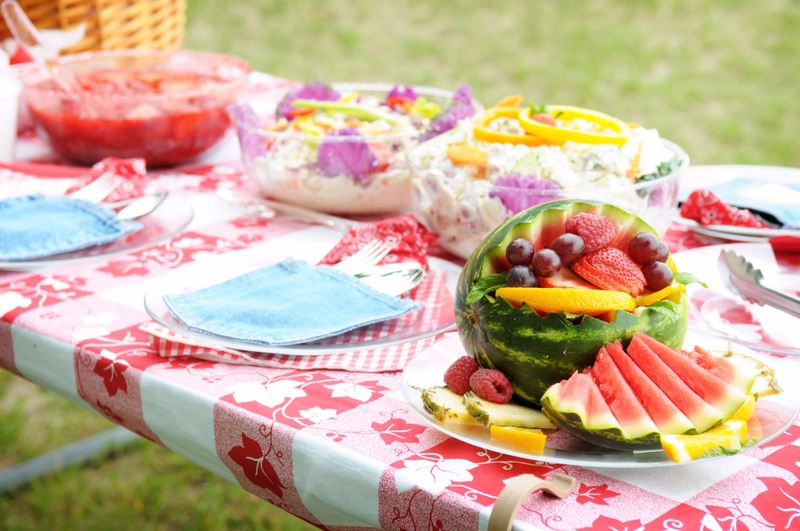 You’ve planned a backyard barbecue to kick off the weekend with enough food to feed an army. 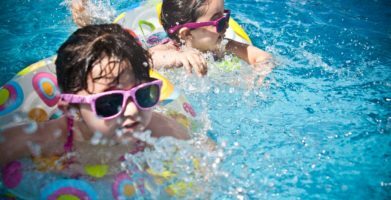 You just didn’t realize you were going to be feeding an army of ants until they came marching in, ruining your summer fun. 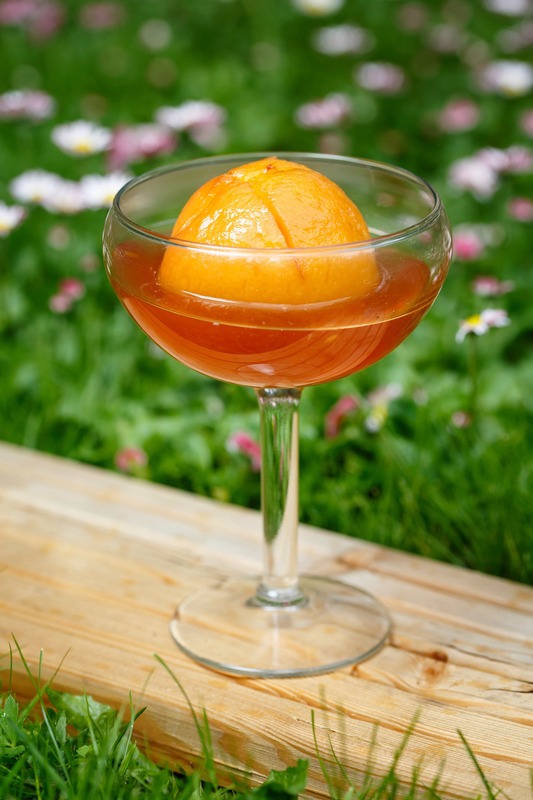 Prevent pests naturally at your backyard parties. Flies, mosquitoes, wasps, ants, and even rodents can leave their mark on the memories you are making. Certain foods are sure to attract unwanted pests, but we’ve got a few tips and tricks to help you keep the bugs at bay. Don’t set the scene to let bugs in. 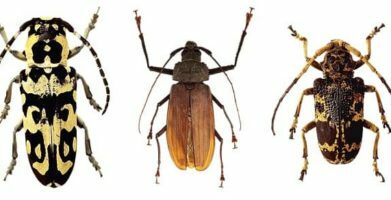 Insects rely heavily on many of their senses. They are attracted to scents, colors, and other environmental cues such as moisture, heat, light and shade. 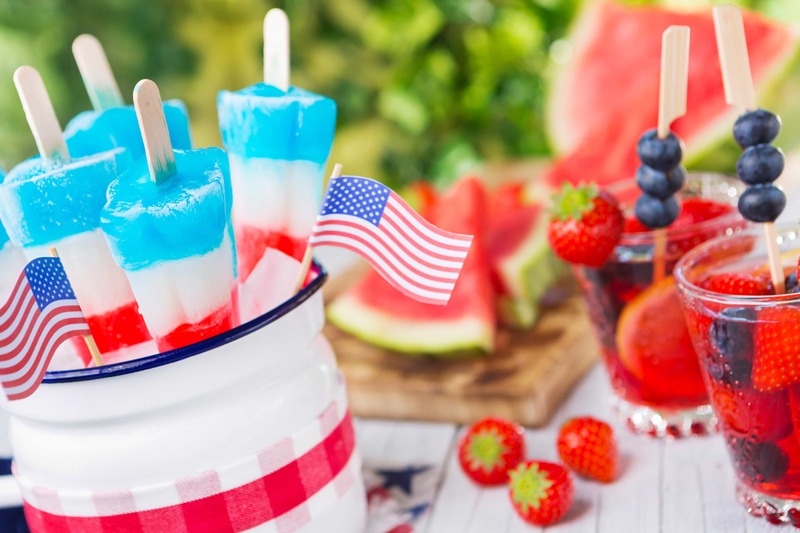 Your red, white, and blue themed party may seem patriotic to you, but a bee will recognize the color of sweet flowers and come in for a closer look. Don’t ditch the decorations, try this instead: Rosemary, mint, and lavender all smell great to people, but not to pests. Herbs can be arranged in vases or containers to set around the area and used as centerpieces; they can be tied together in bundles and hung on chairs; they can even do double duty and serve as tablecloth weights when placed in small pails and clipped to the tablecloth! Sweet scents bring all the bugs to your yard. If it’s sticky, sweet, and full of sugar, it’s definitely going to be a crowd pleaser — but it won’t just be your guests lingering around the dessert table. Fresh fruits or fruity drinks, soda, ice cream, cupcakes, and even barbeque sauce can all give party-crashing pests a sugar high. Consider setting some distractions for sweet seeking insects a few yards away from your gathering about 20 minutes before food is served. 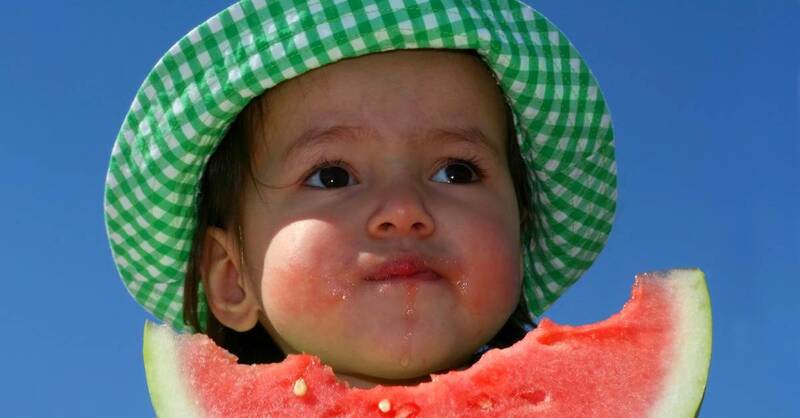 A couple cups of flat soda or some overripe fruit will keep the bugs busy so they leave your feast alone. Some things just can’t be helped. Mosquitoes are attracted to body heat and carbon monoxide. Pregnant woman are, on average, 1-2 degrees warmer than most people and exhale about 21% more carbon monoxide. 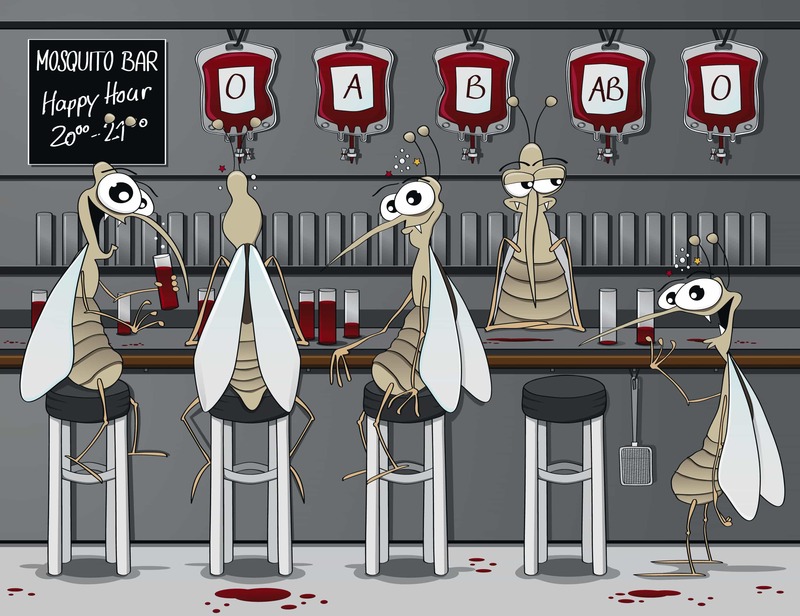 Blood type (they prefer Type O) and genetics also play a role in why mosquitoes bite some people but not others. 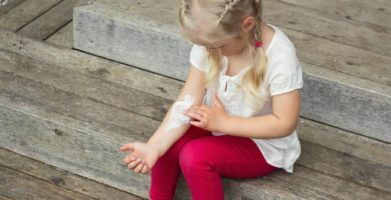 You can control some factors that attract mosquitoes though. They’re more attracted to sweaty people, as well as beer drinkers, and less attracted to people who have eaten garlicky foods. Some people claim that drinking a tablespoon or two of apple cider vinegar mixed into your water makes you less attractive to mosquitoes too; try adding honey to improve the taste. Everyone knows uncovered food and drink attracts pests, and a buffet is a bug’s favorite place to eat. Rethink the standard paper plates and plastic cups; reusable containers with lids can be just as convenient. They’ll help keep pests away while helping you reduce waste and protect the planet too! You can prepare individual servings of salad in sealed jars ahead of time (put ingredients in reversed order with wet ingredients on the bottom, and leafy greens on top) so guests can dump the contents onto a plate or bowl and enjoy. Pets can attract pests if their food or water is sitting out, or if they go the bathroom and the mess isn’t quickly cleaned up. Inspect the area for hornet and wasp nests ahead of time. Look underneath tables, chairs, and roof lines. Keep garbage cans away from where the food will be served and away from where people will be sitting. Make sure all trash bins have lids. Try to stick to light, solid colors. Not only are they less attractive to insects, they will help you stay cooler instead of absorbing the sun’s heat the way dark colors do. Instead of fruity or floral personal care products, choose unscented varieties, or opt for plant and herbal blends. Spending time together with family and friends makes summer even sweeter, but remember to leave pests outside where they belong. 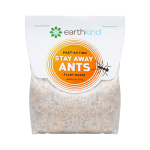 There may be a lot of traffic in and out of your house during the party, so place a pouch of Stay Away® natural pest prevention line by EarthKind® near the door and in any pest prone places. With a little planning, you can prevent pests naturally, inside and out! Don't set the scene to let bugs in. Don’t ditch the decorations, try this instead:  Rosemary, mint, and lavender all smell great to people, but not to pests. 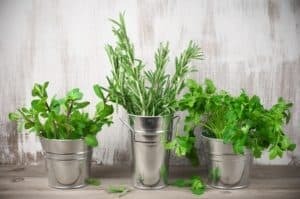 Herbs can be arranged in vases or containers to set around the area and used as centerpieces; they can be tied together in bundles and hung on chairs; they can even do double duty and serve as tablecloth weights when placed in small pails and clipped to the tablecloth! If it’s sticky, sweet, and full of sugar, it’s definitely going to be a crowd pleaser -- but it won’t just be your guests lingering around the dessert table. Rethink the standard paper plates and plastic cups; reusable containers with lids can be just as convenient. 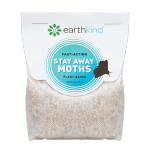 They’ll help keep pests away while helping you reduce waste and protect the planet too! 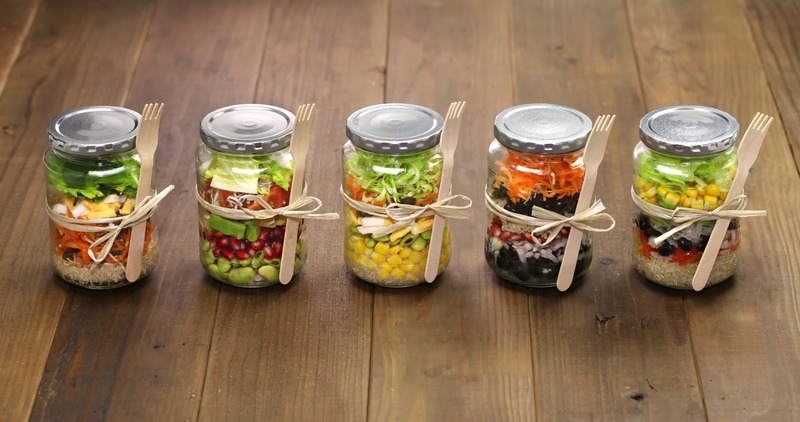 You can prepare individual servings of salad in sealed jars ahead of time (put ingredients in reversed order with wet ingredients on the bottom, and leafy greens on top) so guests can dump the contents onto a plate or bowl and enjoy. Spending time together with family and friends makes summer even sweeter, but remember to leave pests outside where they belong. 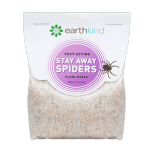 There may be a lot of traffic in and out of your house during the party, so place a pouch of Stay Away® natural pest prevention line by EarthKind® near the door and in any pest prone places. With a little planning, you can prevent pests naturally, inside and out! string(75) "Backyard BBQ All The Buzz? Repel Uninvited Insects With These Natural Tips."